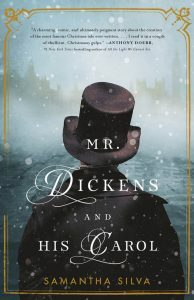 Ghosts feature heavily in Samantha Silva’s debut novel, ‘Mr Dickens and his Carol’, and appropriately so, as the subject matter is a fictional telling of the creation of ‘A Christmas Carol’. There are layers of ghosts that permeate the pages, as the spectres of family, friends, industry, poverty and debt haunt Dickens on the streets of London. The story itself is great fun; there are many moments throughout the book that will make the reader smile or laugh out loud. In many ways, Silva has done for ‘A Christmas Carol’ what ‘Shakespeare in Love’ did for Romeo and Juliet. Unlike the Shakespearean adaptation, however, there are serious themes that Silva is trying to tackle, attempting to take the reader through Dickens’s difficulties and, ultimately, triumph. Perhaps I do derive joy from things you regard as frivolous, Charles. But beneath it all, I have not forgotten what matters. And until you remember, I think it is best we part. Samantha Silva describes in perfect detail, for this Londoner at least, mid-19th century London as Dickens would have walked it. I often wonder myself about his meanderings, which he regularly undertook to better understand his city. I wonder whether Dickens, who was always completely comfortable in all environments, would today have done his shopping at Westfield in Shepherd’s Bush; perhaps he would cross the A3220 over to Hunt Close; he would continue towards Sirdar road, which would eventually meander towards Grenfell road before finally arriving at the carcass of Grenfell Tower. How would he feel, seeing this mass grave of the impoverished and downtrodden, standing as an edifice to our indifference? Today, if there were a London that was worlds apart for Dickens, it would be symbolised by that one walk. On 14 June 2017, during the Muslim month of Ramadan, the Grenfell Tower block caught fire with estimates running from a few dozens to many hundreds, having perished within its flames. As details emerged of the fire, it seemed that budgetary cuts were made to the cladding that had recently been applied to the exterior of the building, with some suggesting this cosmetic change was to improve the view of the tower for wealthier residents of the area. The British police are now formally investigating the possibility of corporate manslaughter, focusing on the role of restrictions on safety that were introduced by successive governments. Did they die, or us? Did they die, for us? 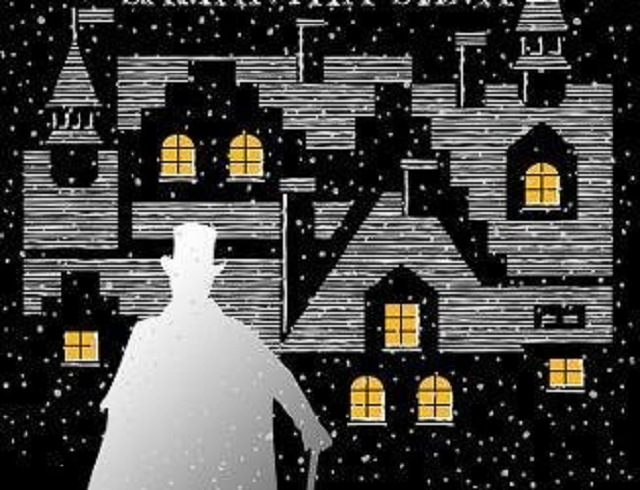 There is joy at the end of the book, as there was at the end of ‘A Christmas Carol’ — a joy rooted in the realisation that festive seasons are not simply about us, that they are about so much more than our own immediacy. I particularly think of how the Grenfell Tower fire took place during Ramadan, a time when the reflections of Muslims are turned towards those who have less, who suffer on a daily basis. Through acts of giving and sacrifice, thus, one can achieve righteousness. Similarly, through her Charles Dickens, Samantha Silva reminds us all that the festive period of Christmas — that the great author described so iconically — was never supposed to be reduced to the capitalist concerns of today’s. It was about so much more.